In this article we will post about the Cultivation of Spinach (Amaranthus). 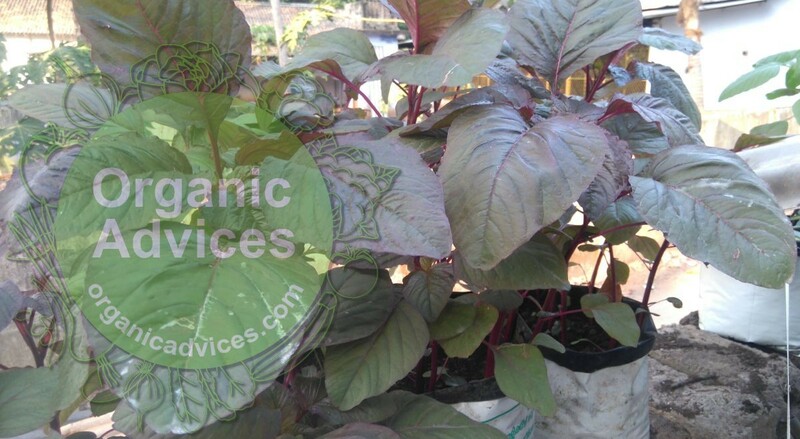 In Malayalam Spinach is known as Cheera and its a common vegetable and its very easy to grow. Cheera can grow in all the seasons, Rainy , summer , winter etc. In kerala there are 2 types of Spinach using, Red and Green Color. Green color spinach can prevent attack against mosaic disease (Ilappulli Rogam). We can mix red and green color spinach to protect against the mosaic disease. Sowing of Cheera Seed – Seeds are using to plant cheera aka Spinach. Cheera Seeds are too small in size, ants like this. So you need to protect it from ants by using some simple tips. You can mix the seeds with rice or rava, ants will eat these and cheera seeds will get in safe. Its better to keep the seeds in water Pseudomonas for 30 minutes. Take the seeds in a white cloth and tide it, then put this in water or Pseudomonas solution. To know more details about Pseudomonas usage in Organic Cultivation read from here. Click Here to Read About Cheera Krishi in Malayalam. Fresh cow dung is the best fertilizer for cheera. you can mix cow dung with water and apply to cheera. cow urine also can be used to prevent attacks against cheera. but you should dilute it with 10 times water before applying to cheera. Do not use any chemical pesticides on Cheera, its very harmful to our health. Only use organic methods to cultivate Cheera. For More Details About Terrace Farming in Kerala and Organic Farming Tips Keep Visit The Site http://www.organicadvices.com. You can also follow our facebook page and google plus page for the updates. For The Organic Tips in Malayalam Please Follow Our Website http://www.krishipadam.com/. Thanks, Spinach is my favorite veggie. Can we cut and replant the cheera branches? Fresh cow dung means wet cow dung or dried? Can be use kitchen waste water / dish wash waste water containing traces of oil, dish wash cake etc for irrigating vegetable plants in grow bags.